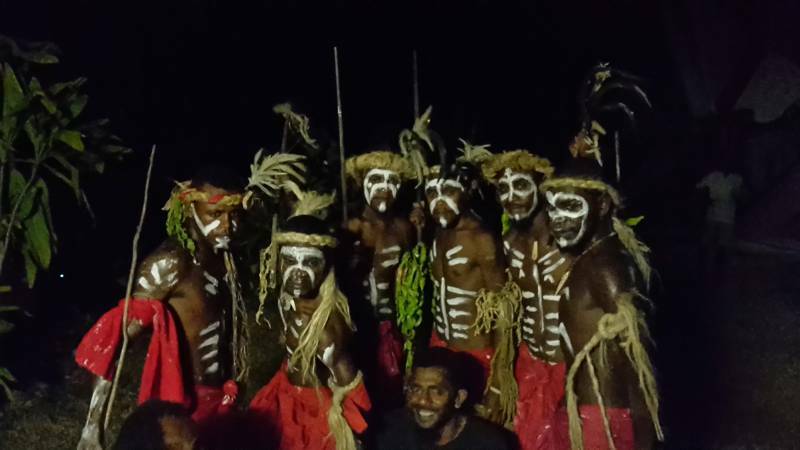 Hea'ka Keamu is an indiginous dance group from Aneityum, the southern most Island of Vanuatu and is made up of young men who found passion to learn their traditional culture. Their dance style is influenced by their traditional warrior dance and is also made up of dances that depict natural phenomenons, legends and myths and also daily activities. Thieir moves are rythmized by the stomping of their feets which have "togo seeds" like rattles attached to them and a blend of contemporary harmonica or whistles to the rythm which gives a simple mucical harmony. Continuosly throughout the dances, the dancers would be shouting in their dialect towards eachother in corresponence to their dance moves and the story being depicted and also emphasizing in climax and endings.